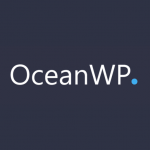 In this OceanWP review, I go over why it’s a great choice for your WordPress site. It’s built for performance and has an insane amount of functionality. The post OceanWP Review – An Awesome Multi-Purpose WordPress Theme appeared first on woorkup. The article OceanWP Review – An Awesome Multi-Purpose WordPress Theme appeared first on Woorkup.